Well weather forecast was betray us. Getting cloud and bit cold. We couldn’t get wet today. well hopefully some other day blow again. Mountain leaves getting turn to red! Well we had nice slalom day! 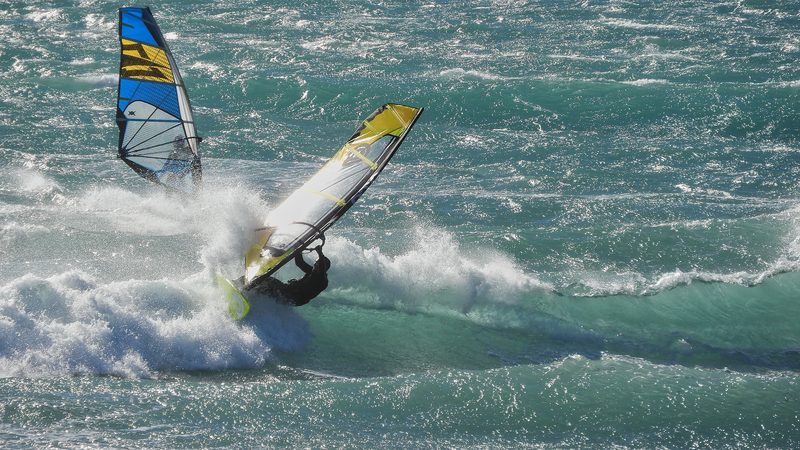 My friend asked me to go windsurfing today. Weather forecast was good but, actually didn’t much blow over there. My friend able to move few time. Any way it was not enough for me. I didn’t go out. I lean bit photography technique today. Owner of windsurfing shop, who is Camera & Photo geek! We took at bird together. Two thing to realize today. Well my friend, let me use 2010 Fly 5.4 today. I can’t say anything! Just I can say super i like it!! I can’t wait get my sails! One more thing is my friend teach me, how to ride super On shore wave. I made top turn few time on super On shore!